Home Company News Is Your Local Gunshop the Best in the UK? So, the Shooting Times have announced that as part of the 2014 IPC Media Shooting Industry Awards, they are asking you to nominate your favourite gunshop. Every reader who nominates will automatically get entered into a free prize draw to win one of two award-winning products. 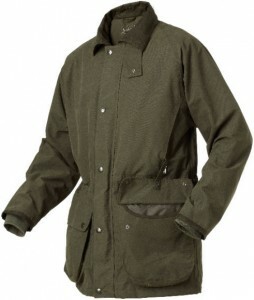 The Seeland Woodcock Jacket won Best New Clothing Product in 2013 – the judges described it as an “affordable, top performing jacket that shooters, beaters and pickers-up really do want to wear”. Read more about the Shooting Times 2014 Shooting Industry Awards. 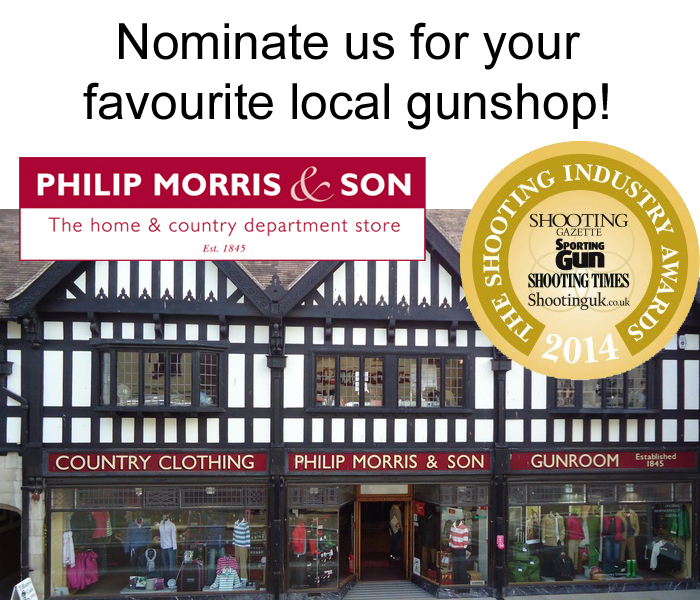 Philip Morris and Son have been established in the heart of the beautiful Hereford City Centre since 1845, the Gunshop has been serving shooting lovers, farmers and country folk in the area for a very long time now and we would be grateful if our loyal customers could take some time to give us a nomination. We pride ourselves on giving the best customer sevice possible, that means being honest with our customers, sharing all of our knowledge and giving expert advice. It helps that the staff that work in our gunroom have a wealth of expert, inside knowledge and a real passion for guns and the sport; you’ll be hard pushed to find a question they can’t answer. According to this Airgun forum thread entitled ‘Do you have to be grumpy and miserable to open a gunshop?’, one person suggested ALL gunshops have miserable old men working in them… except ours! Mark, who is an avid shooter himself, has worked at Philip Morris for over 30 years – you really won’t meet anyone as passionate about shooting, guns or Philip Morris as our Mark! Here is Mark in the Philip Morris and Son gunroom 25 years ago, and now. By the smile on his face he’s only got happier – no grumpy old men here! If you’re really looking for a gunshop that goes that extra mile, we’re confident we can offer that – and if you’ve never come to visit us, that should change! The Shooting Times are looking for evidence of knowledgeable and friendly staff and, naturally, value for money. What they really want to know is why your chosen shop stands out from the crowd. Email to shootingindustryawards­@pcmedia.com with “Best Gunshop” in the subject line. Post your nomination to Regina Tumbridge- Harringer, Best Gunshop, IPC Media, 110 Southwark Street, London SE1 0SU. Entries are limited to one shop nomination per reader – closing date is the 23rd March 2014! 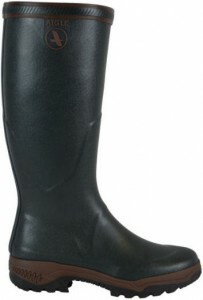 Aigle, Best Gunroom, Competition, Enter to win, Favourite Gunroom, Favourite Gunshop, Gunroom, Gunshop, hereford, Herefordshire, IPC Media Shooting Awards, Local, Nominate, Prize Draw, Seeland, Shooting Times, Win, Win Aigle Parcour Boots, Win Seeland Woodcock Jacket. Bookmark. Mother’s Day Gift Inspiration – Give Mum A Treat!